Do you need help sleeping? Well, join the club, as you’re not alone. According to the Institute of Medicine, about 50 to 70 million Americans are suffering from chronic sleep disorders . Sleep deprivation affects a third of Americans, with 1 in 3 adult Americans sleeping for less than 7 hours every night . This goes against the recommendations of the American Academy of Sleep Medicine and the Sleep Research Society. Both organizations strongly recommend that each person aged 18-60 years should rest and sleep for at least 7 hours. Sleep deprivation is also responsible for a decline in performance [3,4]. Without enough sleep, you can’t function at full capacity. Your work will be adversely affected; your health put at risk and your lifespan severely curtailed. Sleep debt has been linked to impairments in learning and memory , the body’s immune system [6,7] and impaired metabolism . Poor sleeping habits have also been linked to sleep disorders such as sleep apnea, insomnia, narcolepsy and restless legs syndrome . Adequate daily amounts of sleep are instrumental, as the deeper stages of sleep heal the body and allow your brain to clean out the accumulated metabolic waste. An entire industry has emerged around promoting sleep, and improving the sleep environment. 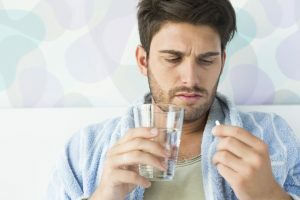 While in some cases there might be a need for a sleep aids, the prolonged counter effects on the body can be detrimental.Going to a nonmedication sleep aid may be your best bet at regaining your health and countering sleep debt. Expensive mattresses and space conditioning technologies can have their place, but can cost you thousands of dollars. 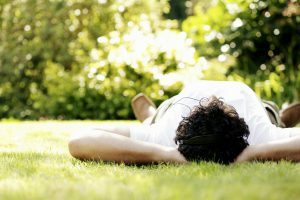 The first steps to dealing with sleep deprivation, should be educating yourself on the factors involved in your sleep, improving your sleep hygiene, and exploring how to reduce anxiety and stress, that may prevent you from getting your recommended 7+ hours downtime. Instead of relying on over the counter medication and sleeping pills to get more sleep, a focus on healthy diet, exercise and stress management techniques can do wonders to get you on the right track. A PEMF sleep device may also bring back the most coveted prize of all: natural sleep. Which is why SomniResonance created for you, the SR1 sleep device. Banks, S. & Dinges, D. F.Behavioral and physiological consequences of sleep restriction. J Clin Sleep Med3, 519–528 (2007). Cohen, D. A. et al.Uncovering residual effects of chronic sleep loss on human performance.Sci Transl Med 2, 14ra13, 10.1126/scitranslmed.3000458 (2010). Rasch, B. & Born, J. About sleep’s role in memory. Physiol Rev93, 681–766, 10.1152/physrev.00032.2012 (2013). Besedovsky, L., Lange, T. &Born, J. Sleep and immune function. Pflugers Arch463, 121–137, 10.1007/s00424-011-1044-0 (2012). Imeri, L. & Opp, M. R. How (and why) the immune system makes us sleep. Nat Rev Neurosci10, 199–210, 10.1038/nrn2576 (2009). Killick, R., Banks, S. & Liu, P. Y.Implications of sleep restriction and recovery on metabolic outcomes. J Clin Endocrinol Metab97, 3876–3890, 10.1210/jc.2012–1845 (2012).